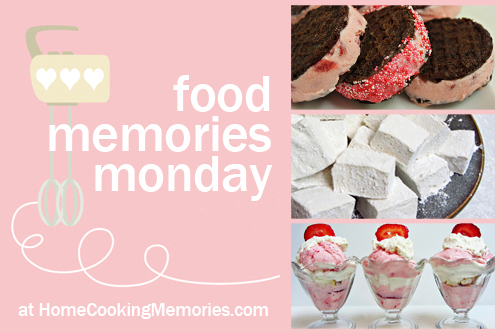 Welcome to Food Memories Monday! 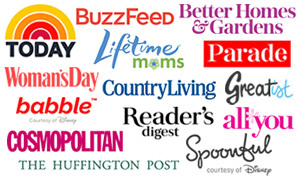 Each Monday I share a few blog blog posts I have enjoyed because of the food story they tell. I don’t judge the photography, or even the recipe itself, but if the story touches me, makes me laugh, or makes me think, I consider featuring it here. One of the fun parts of Food Memories Monday is that I host a link up at the end of this post where you can share your own blog posts that share a special food memory. If you link up all I ask is that you either add my Home Cooking Memories button graphic to your post or a simple text link back to me on your post. And who knows, you could be my next Food Memories Monday pick! Linda share her Mamaw’s Banana Bread recipe, which comes from one of the her most prized possessions – Mamaw’s recipe box. Includes wonderful details about her Mamaw’s and Papaw’s life on the farm. Vanessa shares her version of a classic Cuban ground meat hash that she grew up with — complete with bananas on the side. Kristy shares her mom’s special oatmeal pancakes and how the grandkids scramble for a seat at the table as soon as she starts making them. I particularly love how she refused to make them for her own family because she felt it was a memory that belonged to her mom. Thanks for the mention, Brandie!! You are very welcome…luv ya, Vanessa. The recipes are so lovely!!!!! Yummm!!! You’re welcome, Kristy! It’s a great recipe and I love picturing a grandma making them for her grandchildren.